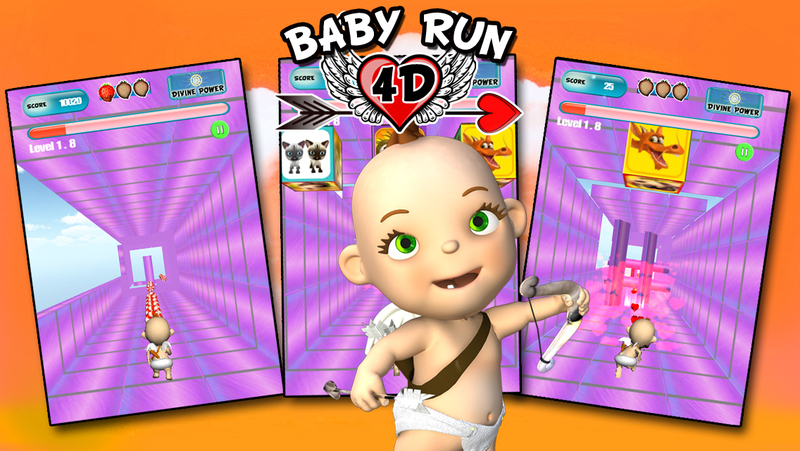 Enter the sweetest run adventure ever seen! 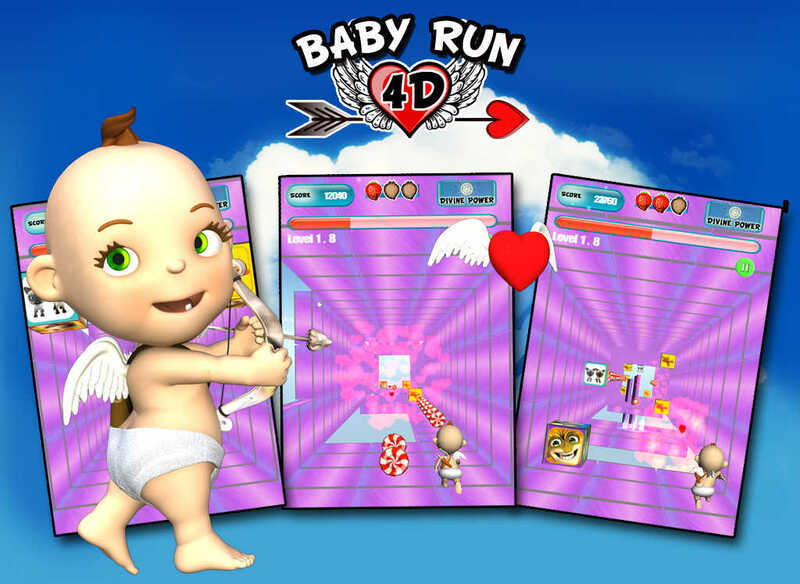 Cupid has escaped mount Olympus and entered another dimension where he could satisfy all desires a normal baby usually has. The only problem is that not everything is what it looks like. 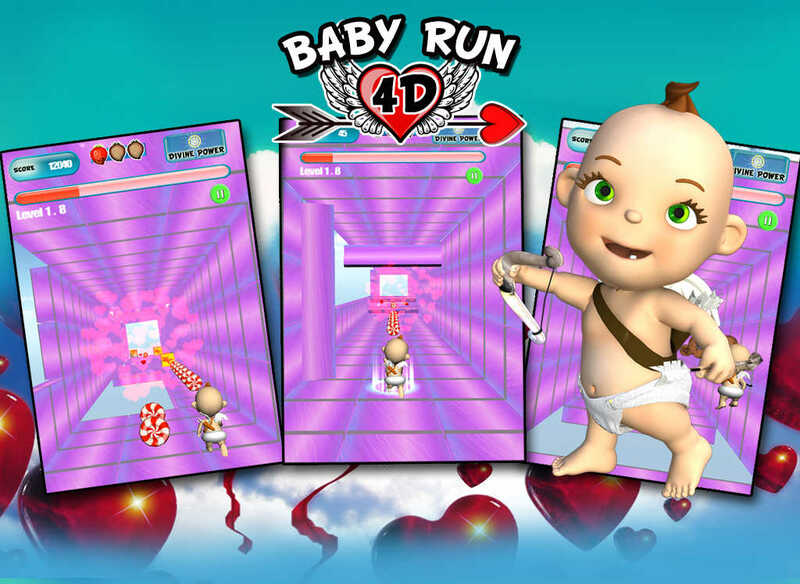 Run with cupid through an enhanced tunnel littered with obstacles and try to collect as much candies and strawberries as possible. Be aware of the teddy bears, as they might look nice and soft but in reality they are the guardians of the candy world. Hit them with your arrows to open a path. Pay also attention to the apparently lovely cubes and the shifting columns, destroy or skip them as the will hurt the baby if it bumps into them. - Original 3D-run function combines jumping, turning casting spells / shooting. - The coolest craziest cupid ever to play with! - Magic Wand: To blast away all the obstacles on your path (The wand destroys more objects with one blow). - To use the throw arrows tap on the objects you want to smash. - To use the multiple magic wand simply tap on the screen. It will destroy automatically most of the objects and enemies standing in your way.